This image was shot on the famous black beach near Jökulsarlón. Almost all the images I had seen of this place had no reference for scale, so it was quite a surprise to see the actual size of the ice chunks - some of them were man-sized on one day, and broken into thousands of smaller bits the next. 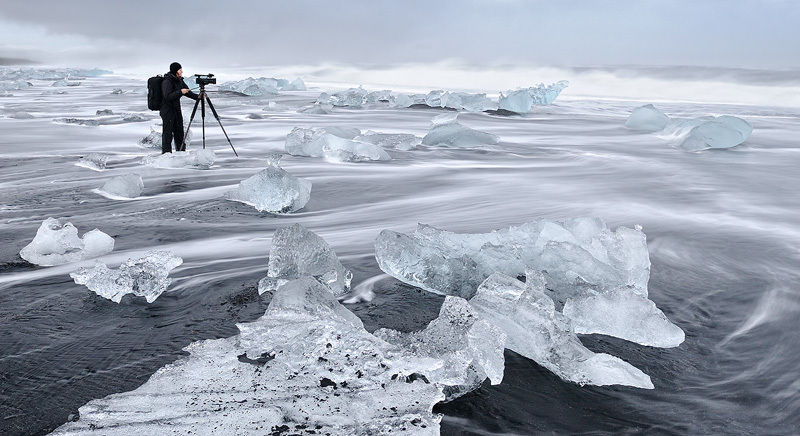 For this shot I decided to include Daniella (who also shot the amazing Iceland video) in the frame as both an interesting focal point and a scale reference.